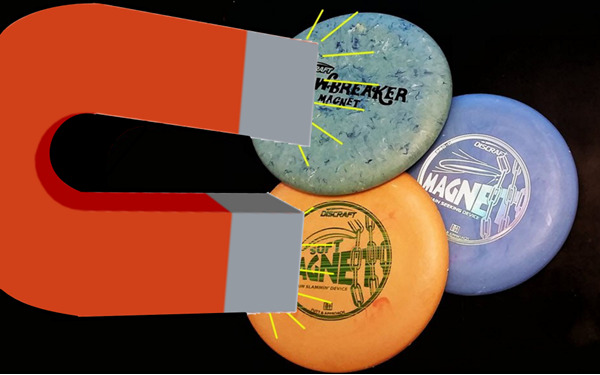 Continuing their current trend of designing easier-to-throw discs, Discraft has released the Thrasher. This high-speed understable disc also resists a full flip, meaning you can power it up and watch it fly. Earlier this year Discraft released the Undertaker, a reliable fairway driver that could be used as a workhorse off the tee. 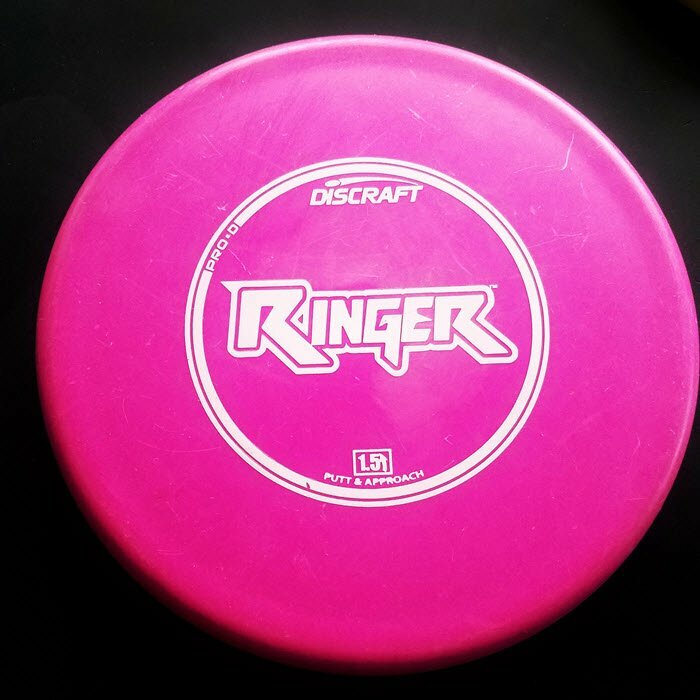 The Thrasher is Discraft’s long distance follow-up to the very popular Undertaker. Discraft recently sent us an Elite Z Thrasher to review, and we’ve both had a positive experience with the driver. Right out of the box, we both found this driver to be far more comfortable than other high-speed discs. Something about the rim shape allows your hand to fit without feeling too bulky and I wouldn’t consider this to be flat or domey, just somewhere in between. Our first experience with the Thrasher came at a local field on a windy evening. Throwing with the wind, the Thrasher immediately impressed me by flipping up to flat and sailing well past the other drivers we brought for comparison. But that performance was somewhat expected, right? After all, this is an understable distance driver. Throwing back into the wind was where the Thrasher surprised me. We’ve all experienced the understable driver that turns too much for a headwind and drives down into a roller. The Thrasher does turn much more into that headwind, but not enough to drive it to the turf. Keep in mind that I’m a hyzer flip style driver. If I were to throw this flat I’d still expect it to flip over a bit too much for me. We talked about this in episode 2 of Just Throw. Chris throws with a little more power than me and also tries to release flat. He found the Thrasher to be great for long distance tailwind drives, reaching close to 450′ a few times, but not a good option for headwind drives. 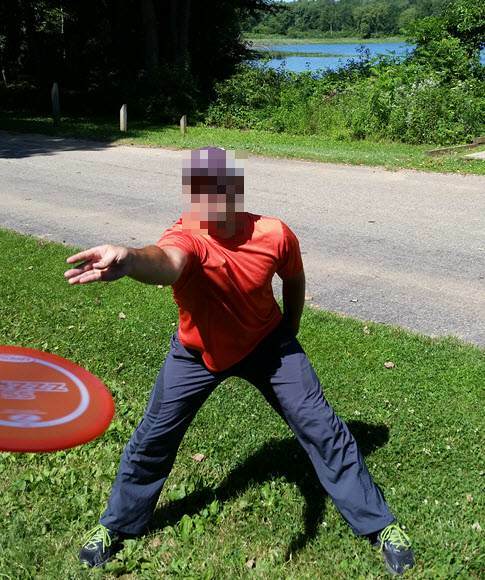 Anyone with 300′ or more power would want to look elsewhere for headwind discs. Take a look at the inbounds Flight Chart for this driver, which accurately represents the flight of the disc. I’d compare it to a slightly broken in Crank SS. Double down on your firepower with Thrasher! It’s very fast and understable but not flippy, allowing huge distance from slower arms yet is completely big arm friendly. It will finish on a slow hyzer in most situations, so expect some gloriously clean anhyzers with a mild finish! As our first practice session went on, the wind died down to calm (which sadly brought out the mosquitoes too). In calm conditions, the Thrasher does turn a little to the right before a nice forward fade carries it back to the center. I’ve played two rounds with the driver in these same calm conditions and still remain impressed. With minimal effort, I’m able to achieve some of my longest throws. I consistently see over 350′ and have reached over 400′ several times too. 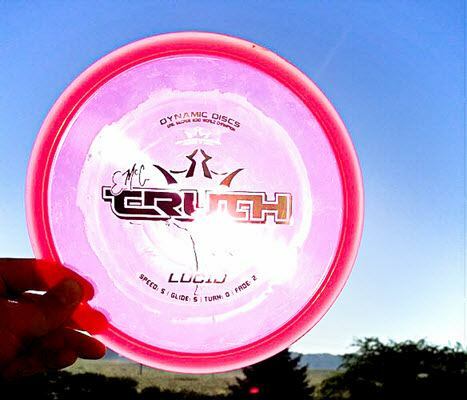 I find this disc to have the most use on longer holes with wide open terrain to allow for the full turn and soft fade. With some practice, this could be a solid driver in the woods after you learn to manage power and where it turns. From a standstill position, which I often employ in the winter season or from the fairway, the Thrasher is a nice addition to the bag. I can still get it to turn a little but never too much. This has helped me to easily reach some of the longer holes (500′) in two and some of the really long ones (900′) with three shots. The shorter the final approach, the easier chance at birdie or par. We also had some fun throwing some long flick shots with minimal effort. Achieving a 200′ forehand without effort could be a huge addition to my bag. 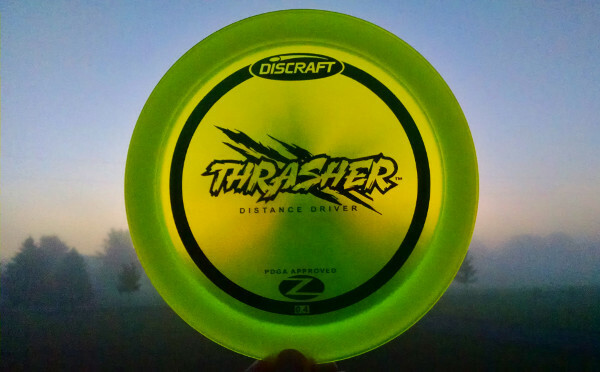 If you aren’t throwing 400′ drives, you should probably give the Thrasher a try. Even as your game grows, an understable distance disc holds a lot of value for playing rounds in windy conditions and enabling you to find a big time turnover line. Looking for your own Thrasher? You can see Thrasher pricing and options here! Hello. Nice review. I am just wondering what the “test” weight of the disc was. Thank you for your time. We threw a 171 gram and a 169 gram Thrasher.